Planning To Travel Abroad? Have A Look At This Report To Know Where You Should Not Go! Denmark tops the list for 6th consecutive time! 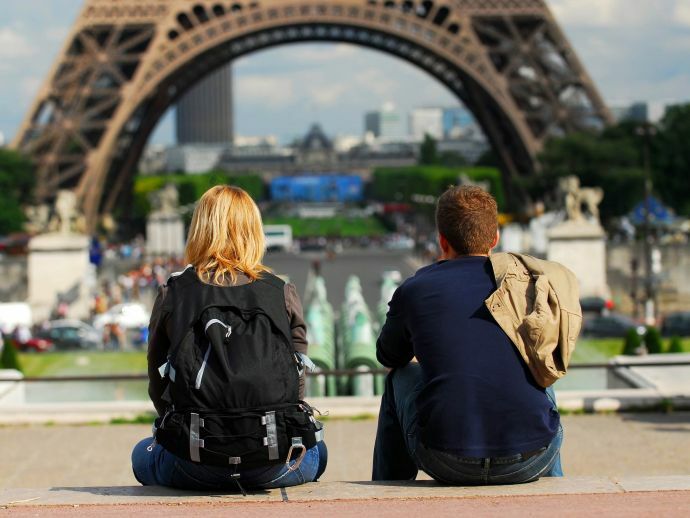 Travelling abroad is easier than ever before. While going to foreign land is easy, it can be dangerous too! 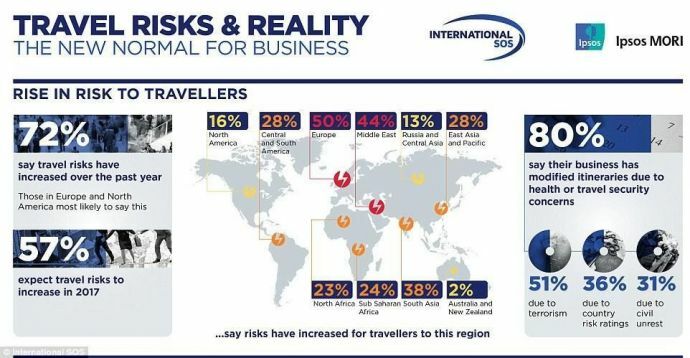 According to a latest report, countries like Syria, Afghanistan, Yemen, Libya, Darfur, Somalia and Timbuktu are extremely risky destinations for tourists! 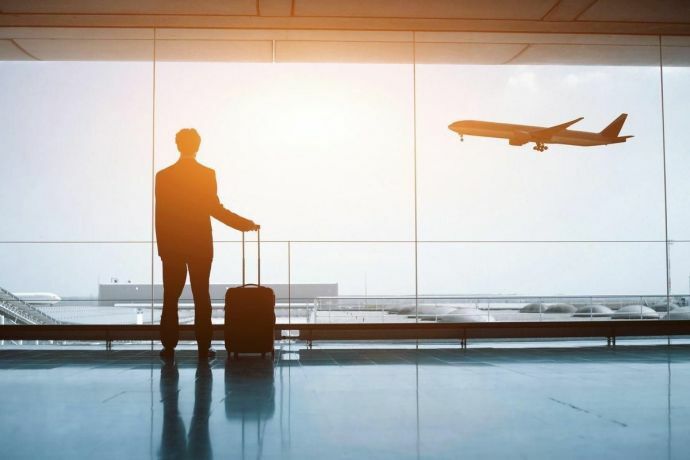 According to the latest Global Peace Index (GPI) report from the Institute for Economics and Peace, 72 per cent of people believe travel risks have increased over the past year and 57 per cent expect it to become even more dangerous next year. 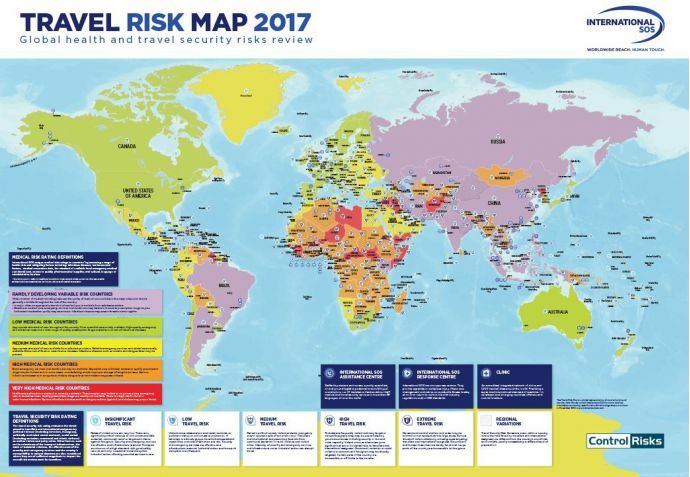 The Travel Risk Map for 2017, launched by medical and security specialists International SOS and Control Risks, is designed to help businesses mitigate their travel risks. 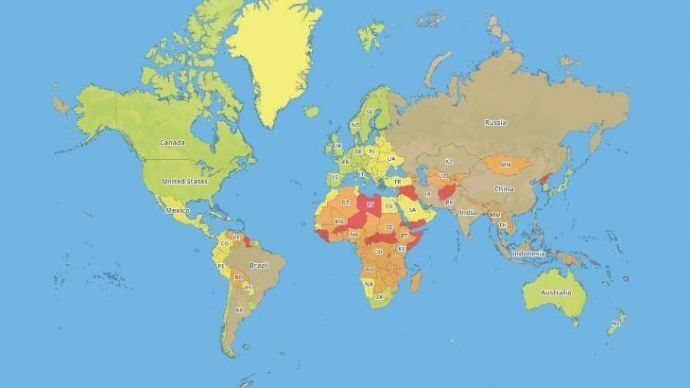 According to the annual travel risk map the most dangerous countries in the world are Syria, Afghanistan, Yemen, Libya, Darfur, Somalia, South Sudan, Gao, and the Timbuktu and Kidal regions of Mali. The travel risk map has made color codings for each and every country where each color signifies the danger. The dark red tells extreme risk for travelers where government controls are minimal and is a serious threat to visitors. Red color too shows high risk for tourists where they may be targeted, Orange color is with medium risk and low risk is of yellow color and insignificant risk is shown by green color. Although the main criteria for deciding on a country's danger level is the amount of government control being exercised and the threat of violence to travelers, research also centers on travelers’ perceptions of the risks they face with experts balancing the chance of encountering extreme danger with the need to be prepared for more common issues. While Hot spots favored by tourists such as Mexico, Colombia, Pakistan and Egypt (above) have ranked as 'high risk' in the new findings, the countries deemed to have an insignificant risk rating are Norway, Sweden, Iceland, Switzerland, Slovenia and Denmark. Interestingly, in terms of road safety, India trumps both China and Russia with the latter two coming under high risk category and India under moderate risk. In medical category, India gets classified as rapidly developing variable risk country, same as that of Russia, China and Pakistan. One area where India fares poorly than its peers is travel security risk, with China and Russia pulling ahead. Europe remains consistent in terms of safety. Denmark grabs the top spot for sixth year in a row! Other countries that are considered for 2017 are Iceland, Austria, New Zealand, Switzerland and Canada!